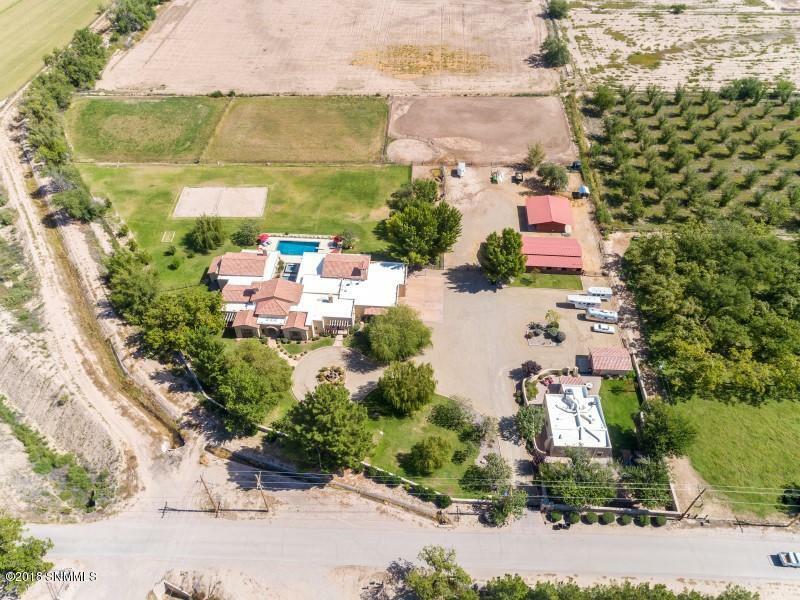 Nestled in the historic village of Mesilla, this gated estate exemplifies all that the discerning buyer would dream of in this truly one-of-a-kind property. Among the features are the spacious interiors showcasing hand carved moldings, spectacular ceiling treatments- one with handpainted mural, coffered ceiling, and rosewood panel ceiling. Massive Cantera stone featured in fireplace, door archways and exterior corbels. Chef's kitchen with two islands and Viking premier appliances. Built-in bar and entertainment center, fireplace and room for a pool table in great room. 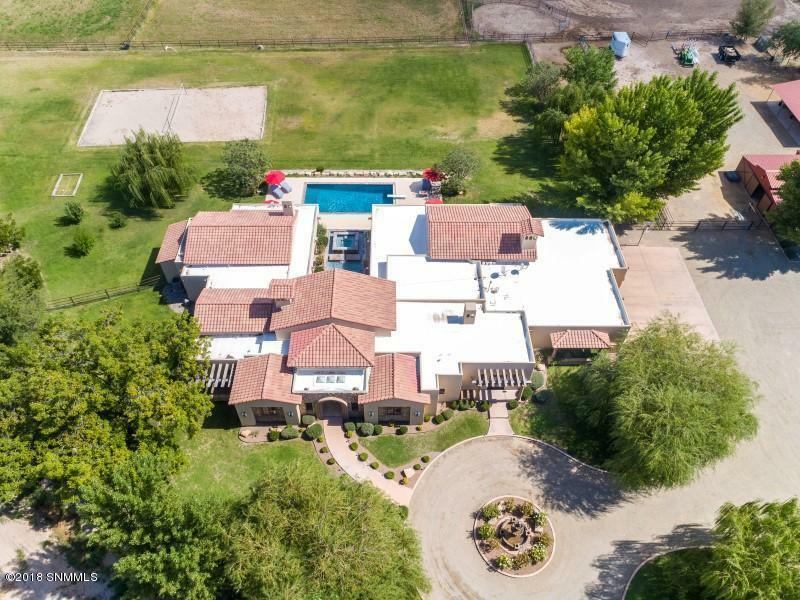 Built in the Hacienda style, multiple doors open to the east facing grand patio and outdoor cooking highlighted by pool, built-in hot tub and cascading water feature with extraordinary lighting, Fabulous horse barn, stables and arena. 1493 square foot casita with garage compliment this unique home. 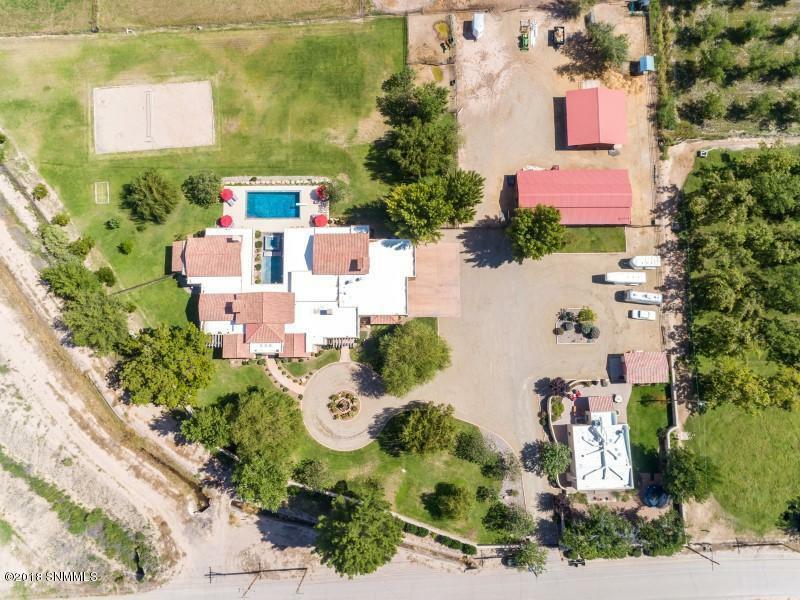 Craftsmanship is the hallmark of this incredible home with stunning views of the Organ Mountains from this secluded resort style estate.